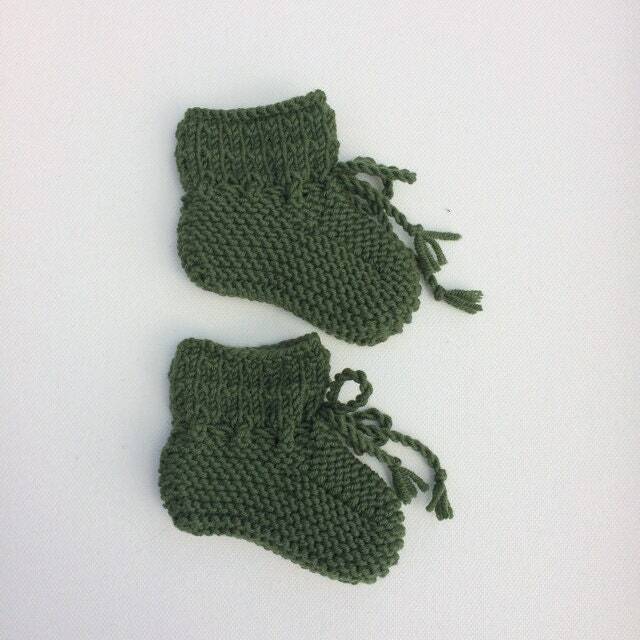 Beautiful hand knitted baby booties made with soft pure merino wool. 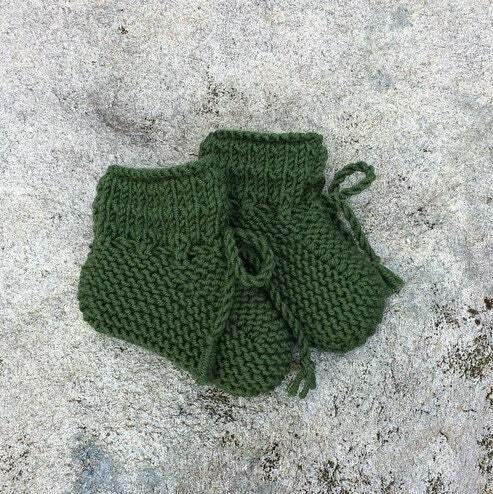 The booties have a textured knit pattern around the ankle and classic garter stitch detail on the foot and sole. They can be tied at the ankle with two little twisted cord ties which help to make sure they stay on! 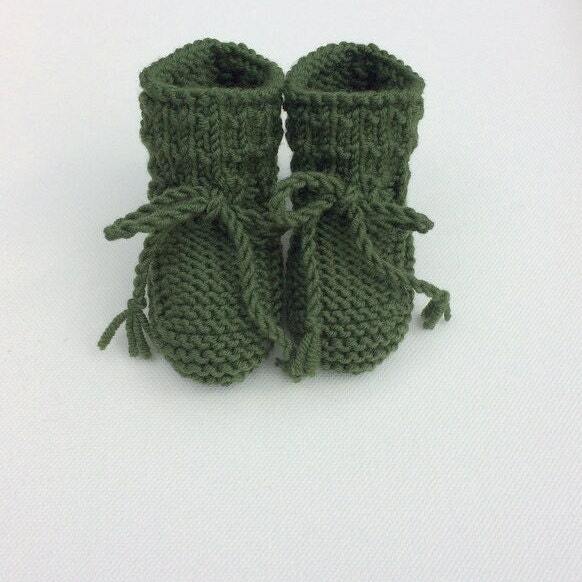 Perfect for keeping little feet snug and cosy or ideal as a gift for a new baby. Care: Machine Washable at 30°C, do not tumble dry. 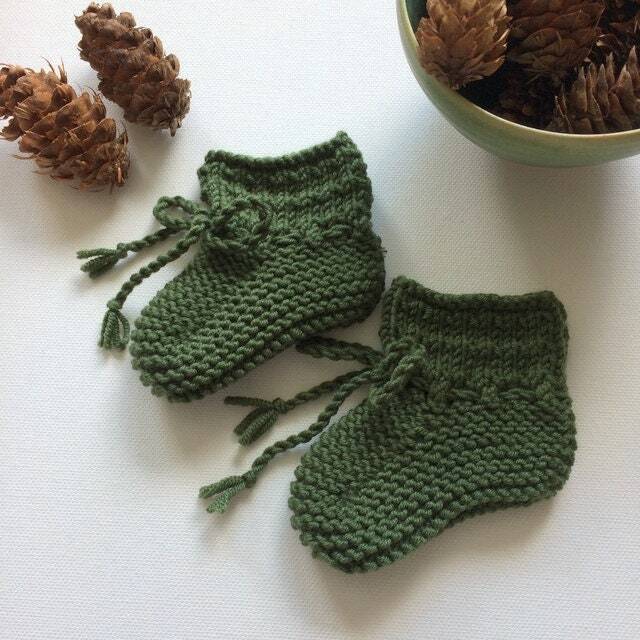 Gorgeous little booties to match the hat, they’re just lovely! Inspiring me to have another go at knitting, but I fear i have a long way to go to make anything half as perfect!